A compass and a protractor are two of the most basic tools used in geometry. 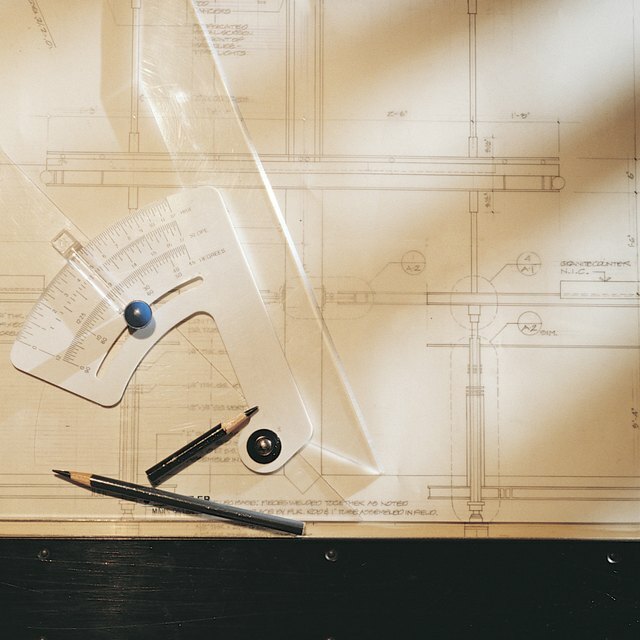 Along with a ruler, they are the tools most students are expected to master. 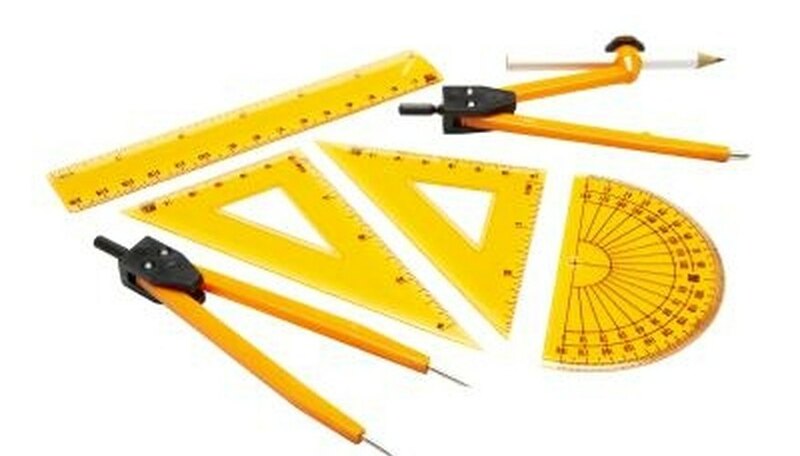 Once the basic techniques are understood, you can use a compass and protractor for many different purposes, including drawing regular polygons, bisecting lines and angles, and drawing and dividing circles. Figure out how your compass makes marks. A compass has two arms, one of which generally ends in a metal point. The other arm should have a place to attach a pencil, or a small pencil lead that fits into the end of the arm. Sharpen the pencil or use sandpaper to file a compass lead to a fine point. Draw a circle with the compass. Place the metal point in the approximate middle of a piece of paper gently, trying not to poke through the paper. Holding this point steady, bring the pencil end of the compass down and rotate the compass, drawing the pencil end in a circle around the point and creating a perfect circle. Adjust the arms of the compass to make different sizes of circle. Move the points closer to each other or further apart by pushing or pulling gently, or, in some cases, by rotating a small dial between the arms. Use a ruler to measure the distance between the points--this distance is equal to the radius of the circle you can draw. Use a protractor to draw specific angles. Start by drawing a line with a ruler. Draw a point somewhere on this line. Line the protractor up over this line. The line on the protractor marked zero should be directly on top of your pencil line, and the center of the zero line should be precisely on the point you drew. Make a mark by the curve of the protractor at the number of degrees of the angle you want to draw. For example, if you want to draw a 45 degree angle, make a mark where the line on the protractor marked 45 meets your paper. Move the protractor and use a ruler to draw a line from your center point to the mark you made with the protractor. This line should be at the specified number of degrees to your base line. Clear plastic protractors are handy because you can easily see your base line through the material. Be careful carrying compasses; the point is quite sharp. Gee, Laura. "How to Use a Compass & Protractor." Sciencing, https://sciencing.com/use-compass-protractor-4780838.html. 24 April 2017.